In the case of 7, 17, last digit is 7. 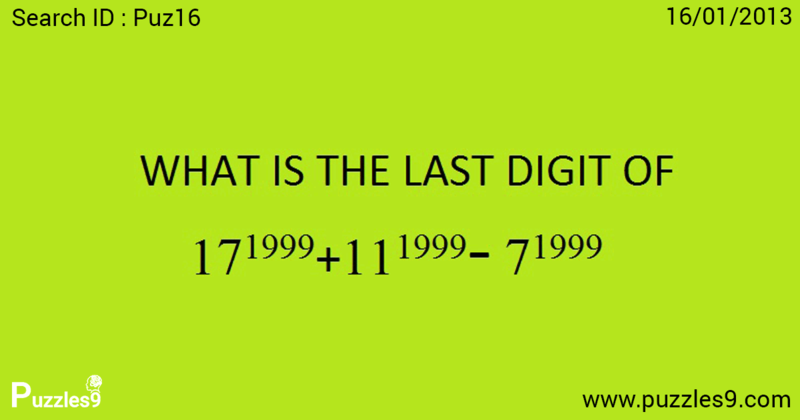 So, if it is 7^1999 or 17^1999, last digit is same. so, they get cancelled with each other. In 11^1999 last digit is 1.